As a family business based in Nantwich, we pride ourselves on delivering a personal and reliable service. 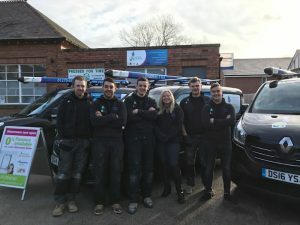 Our specialist heating engineers always turn up on time; wearing our smart uniform, driving one of our blue and silver vans and carrying company I.D. Look out for us in and around Cheshire! Proudly recommended by manufacturers; we’ve been installing boilers, providing boiler servicing and emergency repairs for over 35 years. All of our engineers are highly experienced and qualified in their respective trades; there’s nothing we don’t know when it comes to boilers! 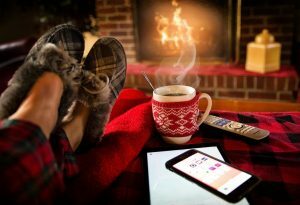 We know how important it is to manage your money, especially this time of year; so offer a free, no obligation gas boiler quote and flexible payment options. We always do our best to save you money; which is why all our heating systems are designed to cut your heating bills by up to 40%. We can install a variety of boilers to suit your needs, with three main options; gas boilers with full servicing and installation by one of our Gas Safe engineers, compact and highly efficient LPG combi boilers, or oil boilers fitted by our OFTEC (Oil Firing Technical Association) specialist engineers. We understand that installing a new boiler can seem like a daunting task, but there’s no need to panic; we’re here to help with expert advice and our professional boiler installation service. Based in the heart of Cheshire, we provide boiler repair services in Crewe, Sandbach, Northwich, Middlewich, Alsager, Congleton, Macclesfield, Knutsford, Winsford, Chester, Warrington and surrounding areas. Our emergency boiler repair team are available 24 hours a day, 7 days a week, to help get your central heating and hot water back up and running asap. 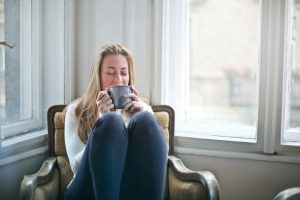 If you’ve recently moved into a new house, or not had your boiler serviced for a while, it’s a good idea to give your boiler a System Health Check. We’ll come and check most brands of boilers, ensuring that yours is safe to use and running efficiently. We also provide a Boiler Maintenance Scheme, which will cover your boiler from as little as £12 a month, giving you peace of mind should you have any issues. We always aim to work to the highest standard, providing a great service that is value for money, and we’ll always tidy up after ourselves; treating your home or business as we would our own – with the utmost respect. Using us to install your underfloor heating means you’ll benefit from our extensive experience in fitting and maintenance, so you can rest assured in the knowledge that you’ll receive a hassle-free service, and be delighted with the end results. With many benefits such as reduced heating costs, adding an extra touch of comfort and luxury to your home, and high levels of reliability; from initial installation, through to routine maintenance, we can help with all your underfloor heating requirements. If you’re a landlord, you should be aware that you’re legally required to have all gas appliances in the properties you let checked every 12 months, and to also hold a Gas safety record. We can make the whole process so much simpler for you with our standalone Gas safety check (CP12) at just £55.00 for your boiler. We have many years experience installing and servicing commercial and industrial boilers. We offer the complete commercial maintenance package, along with specialist and bespoke heating installations, and provide 24 hour call-out for commercial and industrial boilers. Our philosophy is to provide a great service and value for money for all of our customers; both new and existing. We aim to provide a neat and tidy job every time, at the right price and a time that’s convenient for you. Don’t just take our word for it though; read our reviews to find out what customers really think. Fill out our contact form or call us on 01270 611 161 to discuss your boiler needs, ready for the festive season!